Dr. Thilak Mudalige is a research chemist at the Office of Regulatory Affairs, US Food and Drug Administration, where in 2016 he was recognized as The FDA Commissioner’s “Research Scientist of the Year.” He received a B.S. degree from the University of Colombo, Sri Lanka in 2001. In 2007, Dr. Mudalige received his Ph.D. from Western Michigan University. 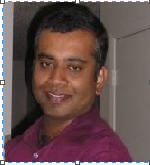 Prior to joining the FDA, Dr. Mudalige worked as a post-doctoral research associate at the Center for Functional Nanomaterials at Brookhaven National Laboratory, Upton, New York. Dr. Mudalige’s research is at the interface of materials chemistry, analytical chemistry, and nanotechnology. A portion of his cutting edge research achievements are listed below. They have been proven to be utilized as a foundation for other method developments by various research scientists throughout the world. Dr. Mudalige is also recognized for his many publications. Assortments of his recent publications are also listed below. 1. Development of hyphenated size-based separation techniques using asymmetric flow field flow fractionation, inductively coupled plasma/mass spectrometry (ICP/MS), light scattering detectors, and conductivity detector. 2. Development of hyphenated size-based separation techniques using centrifugal field flow fractionation, inductively coupled plasma/mass spectrometry (ICP/MS), light scattering detectors, and conductivity detectors. 3. Development of hyphenated size-based separation and speciation techniques using capillary electrophoresis and inductively coupled plasma/mass spectrometry (ICP/MS). 4. Application of x-ray fluorescence (XRF) spectroscopy as a screening tool for nanoscale materials in FDA regulated products. 5. Development of single particle mode ICP/MS for the characterization of nanoparticles in FDA regulated products. 1. Haiou Qu, Thilak Kumara Mudalige, Sean W. Linder, “Capillary electrophoresis coupled with inductively coupled mass spectrometry as an alternative to cloud point extraction based methods for rapid quantification of silver ions and surface coated silver nanoparticles” Journal of Chromatography A , 2015, 1429, 348–353. 2. Venu Gopal Bairi, Jin-Hee Lim*, Ivan Quevedo, Thilak Mudalige, and Sean W. Linder, “Portable XRF Spectroscopy as a Rapid Screening Technique for Analysis of TiO2 and ZnO in Sunscreens” Spectrochimica Acta Part B: Atomic Spectroscopy 2015, 116, 21-27. 3. Thilak Kumara Mudalige, Haiou Qu, Sean W. Linder, “An Improved Methodology of Asymmetric Flow Field Flow Fractionation Hyphenated with Inductively Coupled Mass Spectrometry for the Determination of Size Distribution Gold Nanoparticles in Dietary Supplements” Journal of Chromatography A, 2015, 1420, 92-97. 4. Thilak Kumara Mudalige Haiou Qu, Sean W. Linder, “Asymmetric Flow Field Flow Fractionation Hyphenated ICP-MS as an Alternative to Cloud Point Extraction for Quantification of Silver Nanoparticles and Silver Speciation: Application for Nanoparticles with Protein Corona” Analytical Chemistry 2015, 87 (14), 7395-7401. 5. Jin-Hee Lim, Patrick Sisco, Thilak K Mudalige, Germarie Sánchez-Pomales, Paul C Howard, Sean W Linder “Detection and Characterization of SiO2 and TiO2 Nanostructures in Dietary Supplements” Journal of agricultural and food chemistry”, 2015, 63 (12), pp 3144–3152. 6. Samir V. Jenkins, Haiou Qu, Thilak Mudalige, Taylor M. Ingle, Wang Rongrong, Feng Wang, Paul C. Howard, Jingyi Chen, Yongbin Zhang, “Rapid determination of plasmonic nanoparticle agglomeration status in blood” Biomaterials, 2015, 51, 226–237. 7. Haiou Qu, Thilak Kumara Mudalige, S.W. Linder, “Arsenic Speciation in Rice by Capillary Electrophoresis/Inductively Coupled Plasma Mass Spectrometry: Enzyme-Assisted Water-Phase Microwave Digestion” Journal of agricultural and food chemistry 2015 63 (12), 3153-3160. 8. Thilak Kumara Mudalige Haiou Qu, Germarie Sanchez-Pomales, Patrick N. Sisco, Sean W. Linder, “Simple Functionalization Strategies for Enhancing Nanoparticle Separation and Recovery with Asymmetric Flow Field Flow Fractionation” Analytical Chemistry 2015, 87 (3), pp 1764–1772. 9. Haiou Qu, Thilak Kumara Mudalige, S.W. Linder, “Capillary Electrophoresis/Inductively-Coupled Plasma-Mass Spectrometry: Development and Optimization of a High Resolution Analytical Tool for the Size-Based Characterization of Nanomaterials in Dietary Supplements” Analytical Chemistry 2014, 86 (23), pp 11620–11627. 10. Anamaria I. Orza. Carmen Mihu, Olga Soritau, Mircea Diudea, Adrian Florea, Horea Matei, Stefana Balici, Thilak Mudalige,Ganesh K Kanapardy, Alexadru S Biris, Multi structural Biomimetic Substrate for controlled Cellular differentiation , Nanotechnolgy,2014, 25,065102. 11. Germarie Sanchez-Pomales, Thilak Kumara Mudalige, Jin-Hee Lim, Sean W. Linder, “Rapid Determination of Silver in Nanobased Liquid Dietary Supplements Using portable X-ray Florescence Analyzer J. Agric. Food Chem. 2013,61, 7250-7257. 12. Thilak Kumara Mudalige, S.W. Linder, “Development of Screening Methodologies for the Detection of Nanoscale Silver in Perishable Food Products Using Inductively Coupled Plasma Mass Spectrometry (ICP-MS), FDA Laboratory Information Bulletin, # 4514. 13. William B. Sherman, Thilak Kumara Mudalige and Oleg Gang “Zwitterion-Linker Coatings for Nano-Objects in Solutions of Multivalent Counterions” United States Patent, Publication No. US-2012-0141797-A1, Publication date, 06/07/2012. 14. Thilak Kumara Mudalige and William B. Sherman; “Atomic force microscopy of arrays of asymmetrical DNA motifs” Soft Matter, 2012,8, 3094-3104. 15. Thilak Kumara Mudalige, Oleg Gang and William B. Sherman; A “zwitterion-DNA coating stabilizes nanoparticles against Mg2+ driven aggregation enabling attachment to DNA nanoassemblies” Nanoscale, 2012,4, 2855-2858. 16. Mathew M. Maye, Thilak Kumara Mudalige, Dmytro Nykypanchuk, William B. Sherman, Oleg Gang, “Switching binary states of nanoparticles superlattices and dimmer clusters by DNA strands”, Nature Nanotechnology, 2010, 5,2, 116-120. 17. Thilak Kumara Mudalige, S Habuchi, R Pai, M Cotlet, “Photophysics of the red chomophore of HcRed: evidence for cis-trans isomerization and protonation state changes”, J. Phys. Chem. B, 2010, 114,13, 4678-4685. 18. C Wang, Y Gao, A Shreve, C Zhong, H Wanh, Thilak Kumara Mudalige, M Cotlet, “Thermochromism of a poly(phenylene vinylene): untangling the roles of polymer aggregate and chain conformation” , J. Phys. Chem. B, 2009, 113: 16110-17. 19. Hongzhi Xie, Yi-Fen Li, Hiromi K. Kagawa, Jonathan D. Trent, Thilak Kumara Mudalige, Mircea Cotlet and Basil I. Swanson, “An Intrinsically Fluorescent Recognition Ligand Scaffold based on Chaperonin Protein and Semiconductor Quantum Dot Conjugates”, Small, 2009, 5, 9,1036-1042. 20. Thilak Kumara Mudalige, Dmytro Nykypanchuk, and William B. Sherman, “Assembly pathway analysis of DNA nanostructures and the construction of parallel motifs”, Nano Lett., 2008,8,7, 1971-1977. 21. Albert A. Barrese III, Caroli Genis, S. Zoe Fisher, Jared Orwenyo, Thilak Kumara Mudalige, Subodh K. Dutta, Eric Phillips, James J. Kiddle, Chingkuang Tu, D. N. Silverman, Lakshmanan Govindasamy, Mavis Agbandje-McKenna, Robert McKenna and Tripp B.C., “Inhibition of Carbonic Anhydrase II by Thioxolone: A Mechanistic and Structural Study”, Biochemistry, 2008, 47, 10, 3174 – 3184. 22. Thilak Kumara Mudalige, Tripp B. C., Muralidharan S., “Self-assembly of Nanoparticles and Nanotubes on Bioengineered Flagella Scaffolds”, Chemistry of Materials, 2007, 19, 8, 2056-2064. 23. Thilak Kumara Mudalige, Muralidharan S., Tripp B. C., “Generation and Characterization of Inorganic and Organic Nanotubes on Bioengineered Flagella of Mesophilic Bacteria”, J. Nanosci. Nanotech., 2007, 7, 2260-2272 (Invited paper). 24. Thilak Kumara Mudalige, Tripp B. C., Muralidharan S., “Exciton Energy Transfer Self assembled Quantum Dots on Bioengineered Bacterial Flagella”, J. Phys. Chem. C, 2007,111, 14, 5276-5280. 25. Thilak Kumara Mudalige, Muralidharan S., Tripp B.C., “Layer by Layer Assembly of Bioengineered Flagella and Biomineralization” Biomacromolecules, 2007, 8 (12), 3718– 3722. 26. Thilak Kumara Mudalige, Srividya, N., Muralidharan S., Tripp B. C., “Bioengineered Flagella Protein Nanotubes with Cysteine Loops: Self-Assembly and Manipulation in an Optical Trap” Nano Lett., 2006, 6, 2121-2129 Highlighted in Biophotonic International trade magazine, October 2006.